The Centers for Disease Control and Prevention’s (CDC) Vessel Sanitation Program (VSP) reported that they are investigating a suspected norovirus outbreak onboard Holland America Cruise lines vessel, ms Oosterdam. The cruise ship docked in Tampa Friday after a 15-day voyage that departed from Rome, Italy on Nov. 3. According to health officials, 86 of 1,843 (4.67%) passengers and 18 of 796 (2.26%) of the crew were sickened with symptoms of vomiting and diarrhea. 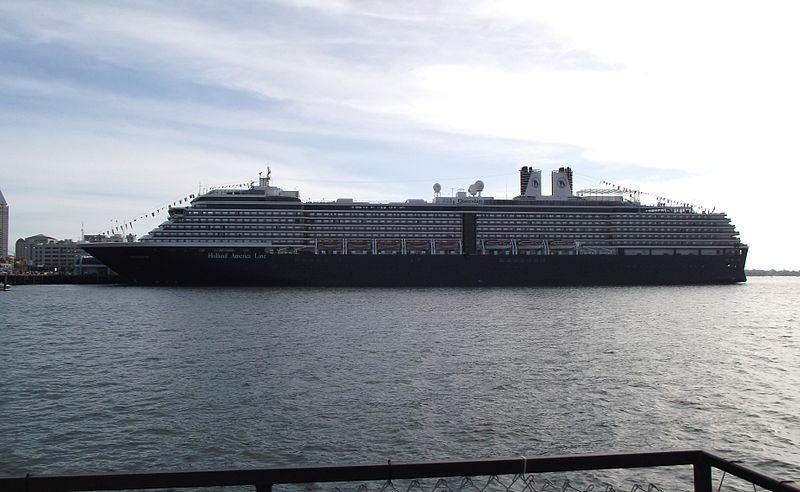 In response to the outbreak, Holland America Line and the crew aboard the ship reported the following actions: Increasing cleaning and disinfection procedures according to their outbreak prevention and response plan, collecting stool specimens from passenger and crew gastrointestinal illness cases for testing and consulting with CDC on plans for their comprehensive sanitation procedures in Tampa, FL, on Nov 18. According to Holland America officials, the ship is undergoing a thorough sanitation at the end of the cruise.